Late autumn season was marked by the creative success of costume design students who took part in significant fashion events. They also presented their collections on the podiums of South Korea. Korea is one of the most promising countries for the further development of students in the field of costume design. That is why cooperation with foreign universities makes it possible to realize the creative potential of future designers of VSUES. 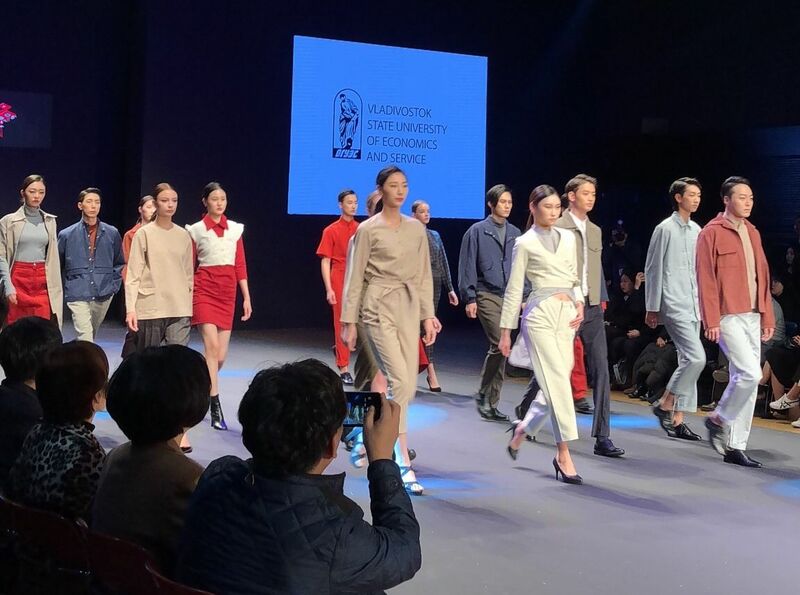 The collection called "IT SEEMED" (authors: Abrosimova Alina, Kolodova Alisa, Komarova Anastasia and Plipchayan Natalia) was presented at the University Fashion Festival in Busan, where the collections of the graduates of Korean universities were also presented. The show made a special impression of courage in the making of materials and readiness to solve unexpected problems, a characteristic which is extremely inherent in Korean designers. Another event, in which the collection of the creative combination of Syverneva Tatyana, Tkachenko Victoria, and Ismaeva Alina was able to participate, was Daegu-Gyeongbuk Fashion Business Cooperative 2018, which took place in the South Korean city of Daegu. The main task was the promotion of the development of the fashion industry by the means of effective work of centralized infrastructure. Suverneva T., Tkachenko V., and Ismaeva A. presented a collection of 40 models which is a ready prototype for a possible launch in industrial production.